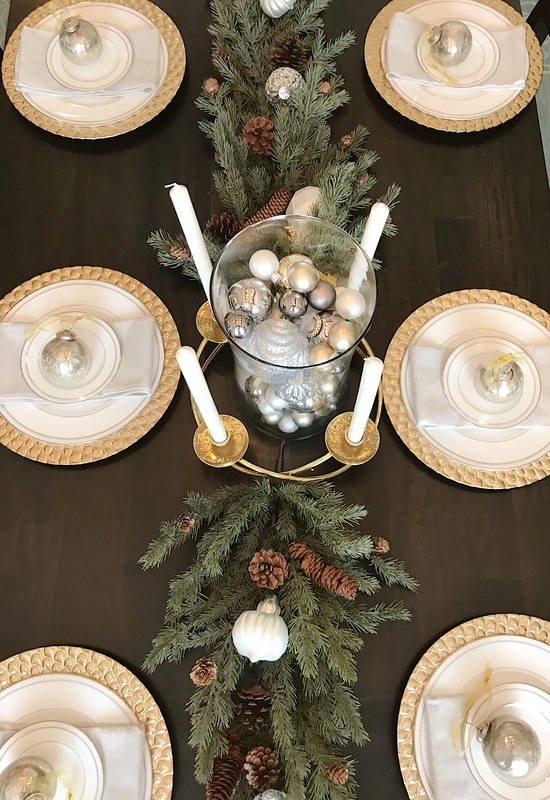 Recently, I had the pleasure of working with a friend of mine to decorate her dining room table for her family’s Christmas dinner. It was so much fun brainstorming with her and creating a tablescape she loved. We were both pleased with how it turned out! 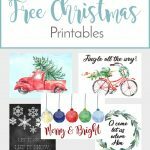 There are so many ways your can spruce up your dining table for Christmas dinner. 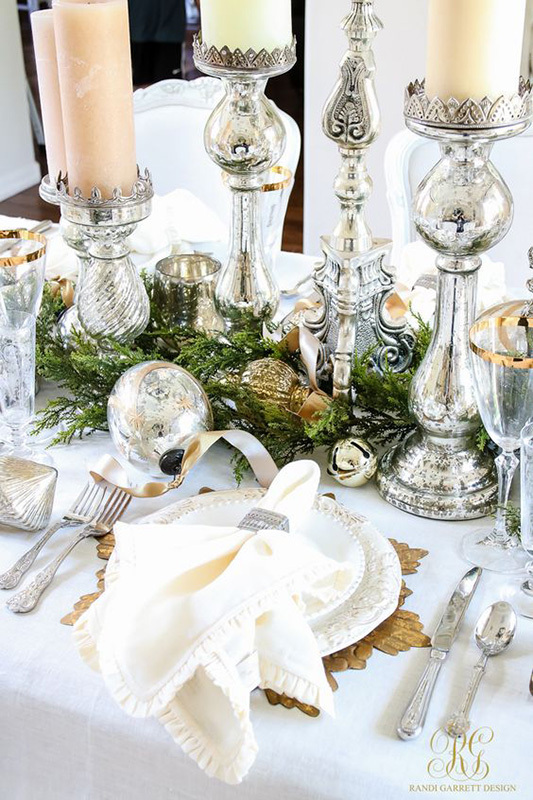 In my opinion, many of the most beautiful Christmas tablescapes are the simplest. Using greens and candles alone can add a huge impact. 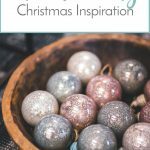 If you’re looking for some inspiration for your Christmas table, I am happy to share some of my favorites from around the internet. Aren’t these spaces gorgeous? 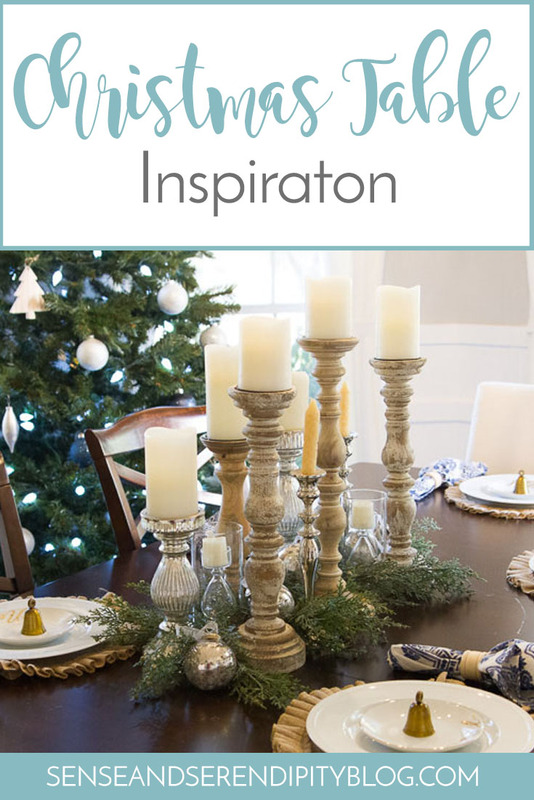 There are so many fantastic ideas you can use from these tables and incorporate them on your own dinner table this year. 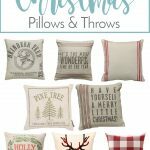 Happy decorating and have a Merry Christmas! 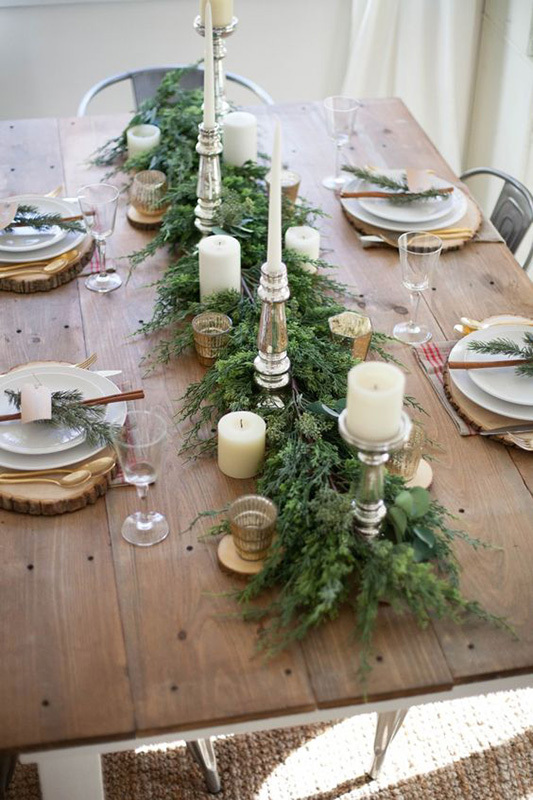 Do you decorate your dinner table the same way every year or do you like to mix it up? 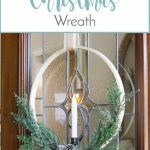 Those ornate mercury glass candle holders are absolutely stunning! 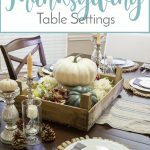 While tablescapes aren’t for me personally, I sure do love to look at them! 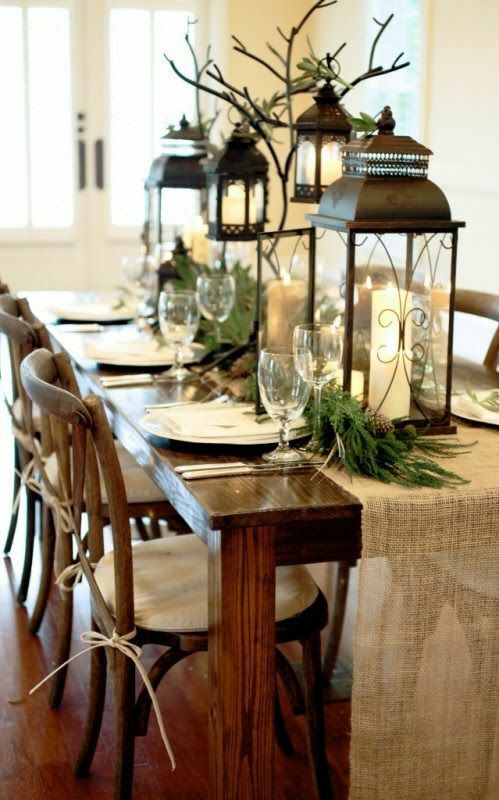 this is such a great set up, I am hosting Christmas dinner this weekend and I just got inspired, thanks for sharing. Simple, yet beautiful! 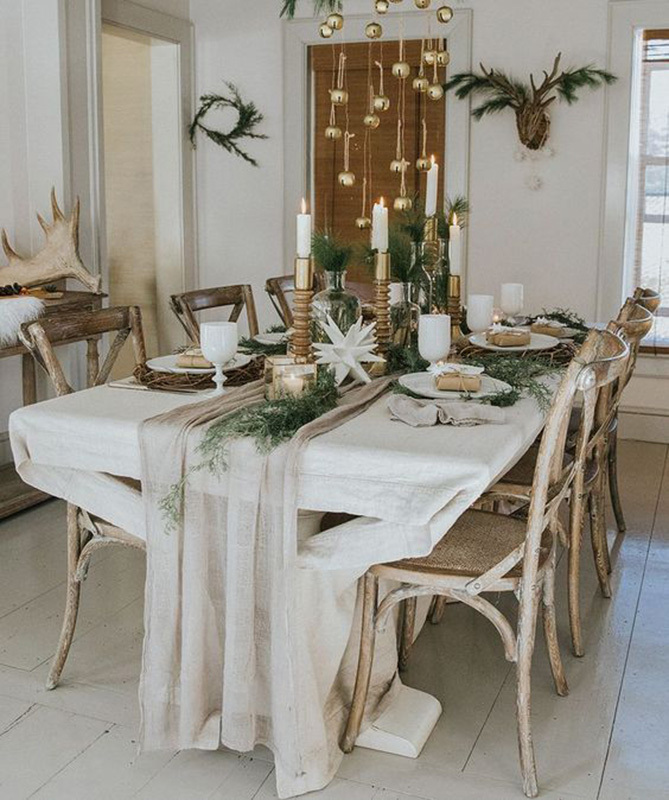 I love the use of greens and candles. I could look at tablescapes all day, but the one you created along with the ones you shared hits all my current favorite “themes”. Currently searching for bells like you have on those plates! Target! Joanna Gaines’ line. They’re so pretty! These are gorgeous! 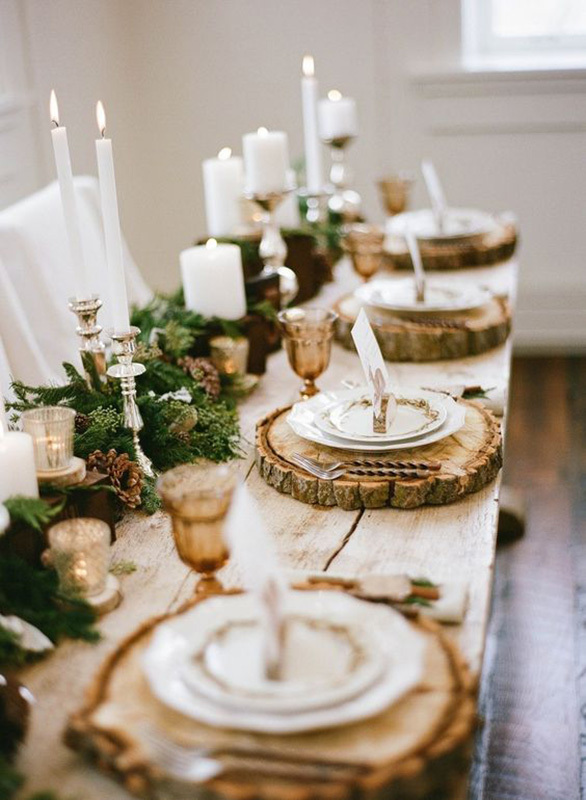 A lot of inspiration and ideas, I really love the balance of the pine and the eloquence of the candles holders! Stunning photos! I especially love the rounds for the plates to sit on! Very creative and beautiful. 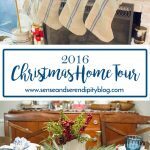 I enjoy your blog and hope that your holidays were filled with happy memories. It must be a difficult time.